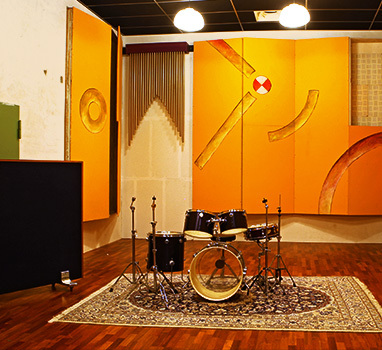 The E-sound studio has grown out of the Dutch Record Company (DURECO) studio’s that was in full operation between 1973 and 1999. 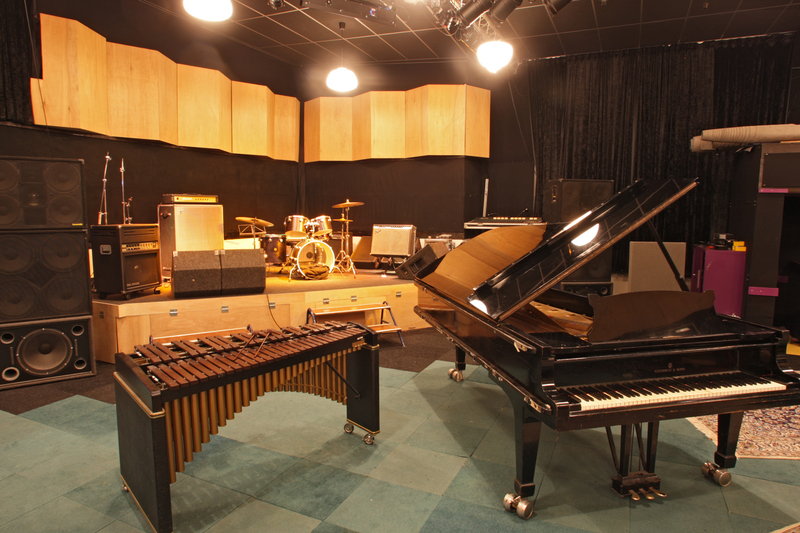 From 1999 through 2012 the E-sound Studio has been the musical home of many musicians and projects. In 2012 it was however decided to rebuild the studio into a new building (that was luckily located down the street). Although the main recording facilities in the new studio have been operational since 2014, the studio will open in full glory with all its vintage equipment returned by May 2016. During the rebuilding great care was taken to ensure that the studio maintains its vintage feel, the goal was not to create a sterile recording environment but to create a warm and welcoming place to bring out the most of musicians. To create this environment many of the original facets of the old studio were physically transferred to the new one; so when you come into the studio you will be walking on the same carpet and using the same microphones as thousands of great artists have done before you. At the same time however, the rebuilding has provided the opportunity to bolster the vintage aspects of the studio with the best that modern music technology has to offer. In short: at the E-sound studios you can expect a large recording environment for your entire band with a warm vintage feel laced with the flexibility that modern technology offers. 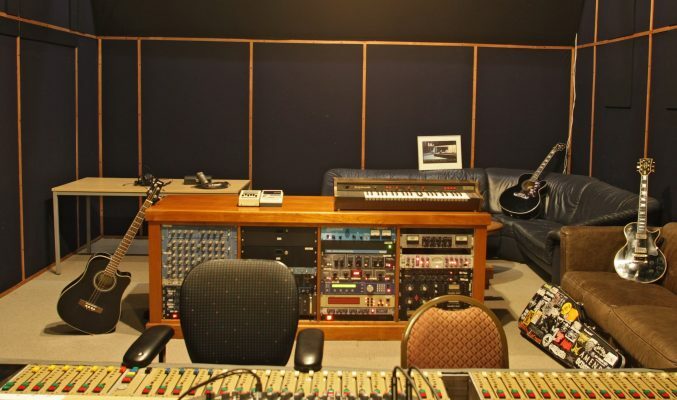 The core of the studio consists of three rooms: the Recording Room, the Reverb Room and the Control Room. It is often said that in modern music the most critical instrument in a mix is the drums; if the drums sound great most listeners will experience your song as sounding professional. The big difficulty with getting a great sounding drum recording is the fact that it is very difficult to get a good sounding room. And the fact of the matter is that in nearly all styles of music the room sound is critical for the quality; even if you are the worlds best drummer with the worlds best drum kit, if you record it in your bedroom the performance will sound dull and lifeless (this is of course assuming you are not filthy rich and have a large, great sounding bedroom). In the Reverb Room there are 14 large wooden panels that have one side that is very reflective (for sound, so you will have to make sure your hair looks great before you enter the room), and one side that is very absorptive. These panels can be moved to create reverb times between 200 and 1000 ms. In layman terms: this means you can choose a sound anywhere between a normal sized bedroom and a large storage hall. Using these panels you can make sure you get some great early reflections and reverb to make your recordings come to live and sound like an actual performance rather than a cheap sample pack. Apart from drums the reverb room is great for any performance that benefits from some ‘wetness’ with regards to reverb, strings, brass and choirs sound great in the room for example. This is the nerve centre of the technical aspect of recording. Within this 47m2 nerve centre the most central and critical piece of equipment is the CADAC E-Type Quadraphonic Analogue Sound Desk. One of the last of it’s kind, this 40 channel mixer will make many sound technicians drool, and rightfully so, as it is considered by many to be one of the best sounding desks ever made in the world (and no, this is not even an exaggeration). We have entered the digital age quite a few years back now, so of course the studio is equipped with state of the art A/D-D/A converters from Digidesign that will make sure your performances are very cleanly converted into digital format so that you can make full benefit of all the flexibility that digital audio has to offer. If you prefer to use analogue equipment; the studio has a large collection of classic outboard gear that can easily be patched during your recording or mixdown (for example, 2 channels of 1176’s and LA4’s are typical compressors that many people love to use).